Slighter is the latest, smart lighter that can help you quit smoking one cigarette at a time. The company is based in Lebanon. Their product offers a new way to quit smoking. It learns from your habits. It calculates how frequently you smoke and when you do so. It uses the data to customize a plan for each smoker. There's a lot of innovation and ingenuity in this smart lighter concept. It sometimes, on purpose, won't light up to help the smoker cut cigarettes eventually down to zero. The price is $129. It will start shipping in July 2019. The French National Cancer Institute plans to do a trial run with it. You can communicate and share the data on your progress to quit smoking on a phone app. 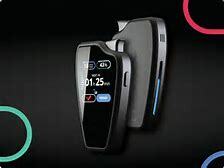 The device also tells you how much money you've saved as you reach your quit smoking goals. Interesting and innovative technology innovation developed in Lebanon.